Cassie the Weimaraner Plush Stuffed Animal 16"
This Cassie the Weimaraner Plush Stuffed Animal 16" is Stuffed with cuteness, adorableness and sweet, sweet dreams! When you receive your Weimaraner you will be taken aback with how wonderfully it is made (we use the finest materials) and how much it seems to beg to be held. Our Weimaraner 2.8 Seconds Sign will look great outdoors or indoors. Made from high impact styrene, this durable and weather resistant Weimaraner 2.8 Seconds Sign is both functional and fun. Easy to install, each sign can easily be mounted to your post, wall, deck, fence, etc. 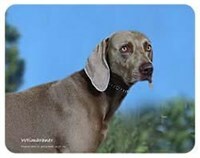 Each Weimaraner 2.8 Seconds Sign measures approximately 11 x 11 inches. Nothing beats the exceptional look and quality of our Weimaraner Address Labels. Among the finest made, you will be provided with great satisfaction and long lasting enjoyment. Why not pamper yourself or give a loved one a Weimaraner gift to show them how much you care. The Weimaraner Address Labels will make the perfect gift for any Weimaraner lover. Shop with confidence, because all products come with a 100% customer satisfaction guarantee. Click over now to see the big selection of Weimaraner gifts we offer. Nothing beats the exceptional look and quality of our Weimaraner Blanket. Among the finest made, you will be provided with great satisfaction and long lasting enjoyment. Why not pamper yourself or give a loved one a Weimaraner gift to show them how much you care. The Weimaraner Blanket will make the perfect gift for any Weimaraner lover. Shop with confidence, because all products come with a 100% customer satisfaction guarantee. Click over now to see the big selection of Weimaraner gifts we offer. Beautifully hand painted, this delightful Weimaraner Bottle stopper will be the talk of the party at your next get together. At approximately 1½" to 2" tall, our intricate Weimaraner Bottle stopper looks just right sitting atop just about any bottle. Weather a gift for a dear friend or family member or simply a new decoration for your home, all Weimaraner lovers will surely enjoy this gorgeous stopper. The perfect gift for an Weimaraner Lover. Made in the USA and measures 6" x 4". Nothing beats the exceptional look and quality of our Weimaraner Coasters. Among the finest made, you will be provided with great satisfaction and long lasting enjoyment. Why not pamper yourself or give a loved one a Weimaraner gift to show them how much you care. The Weimaraner Coasters will make the perfect gift for any Weimaraner lover. Shop with confidence, because all products come with a 100% customer satisfaction guarantee. Click over now to see the big selection of Weimaraner gifts we offer. Nothing beats the exceptional look and quality of our Weimaraner Cookie Jar. Among the finest made, you will be provided with great satisfaction and long lasting enjoyment. Why not pamper yourself or give a loved one a Weimaraner gift to show them how much you care. The Weimaraner Cookie Jar will make the perfect gift for any Weimaraner lover. Shop with confidence, because all products come with a 100% customer satisfaction guarantee. Click over now to see the big selection of Weimaraner gifts we offer. Nothing beats the exceptional look and quality of our Weimaraner Dish Towel & Potholder. Among the finest made, you will be provided with great satisfaction and long lasting enjoyment. Why not pamper yourself or give a loved one a Weimaraner gift to show them how much you care. The Weimaraner Dish Towel & Potholder will make the perfect gift for any Weimaraner lover. Shop with confidence, because all products come with a 100% customer satisfaction guarantee. Click over now to see the big selection of Weimaraner gifts we offer. 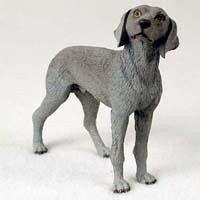 Nothing beats the exceptional look and quality of our Weimaraner Figurine. Among the finest made, you will be provided with great satisfaction and long lasting enjoyment. Why not pamper yourself or give a loved one a Weimaraner gift to show them how much you care. The Weimaraner Figurine will make the perfect gift for any Weimaraner lover. Shop with confidence, because all products come with a 100% customer satisfaction guarantee. Click over now to see the big selection of Weimaraner gifts we offer. Nothing beats the exceptional look and quality of our Weimaraner Flag. Among the finest made, you will be provided with great satisfaction and long lasting enjoyment. Why not pamper yourself or give a loved one a Weimaraner gift to show them how much you care. The Weimaraner Flag will make the perfect gift for any Weimaraner lover. Shop with confidence, because all products come with a 100% customer satisfaction guarantee. Click over now to see the big selection of Weimaraner gifts we offer. A mischievous Weimaraner Golf Headcover may be the perfect item to keep your golf game out of the surrounding trees. The soft yet durable Weimaraner Golf Headcover fits up to 460cc driver as well as your fairway wood, and the faux sheepskin lining is twice the thickness found in other brands. Guaranteed for life, your UV-resistant Golf Headcover deters theft by concealing your valuable clubs. The featured creature can represent a game that may not be beautiful, but has authority and direction. Nothing beats the exceptional look and quality of our Weimaraner Hand Towel. Among the finest made, you will be provided with great satisfaction and long lasting enjoyment. Why not pamper yourself or give a loved one a Weimaraner gift to show them how much you care. 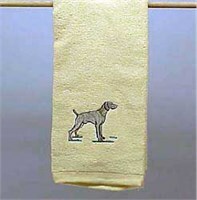 The Weimaraner Hand Towel will make the perfect gift for any Weimaraner lover. Shop with confidence, because all products come with a 100% customer satisfaction guarantee. Click over now to see the big selection of Weimaraner gifts we offer. Nothing beats the exceptional look and quality of our Weimaraner Cap. Among the finest made, you will be provided with great satisfaction and long lasting enjoyment. Why not pamper yourself or give a loved one a Weimaraner gift to show them how much you care. 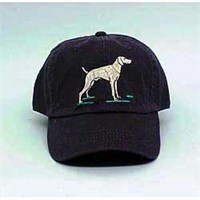 The Weimaraner Cap will make the perfect gift for any Weimaraner lover. Shop with confidence, because all products come with a 100% customer satisfaction guarantee. Click over now to see the big selection of Weimaraner gifts we offer. 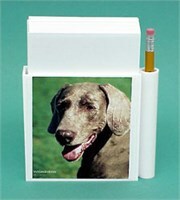 Nothing beats the exceptional look and quality of our Weimaraner Hold-a-Note. Among the finest made, you will be provided with great satisfaction and long lasting enjoyment. Why not pamper yourself or give a loved one a Weimaraner gift to show them how much you care. The Weimaraner Hold-a-Note will make the perfect gift for any Weimaraner lover. Shop with confidence, because all products come with a 100% customer satisfaction guarantee. 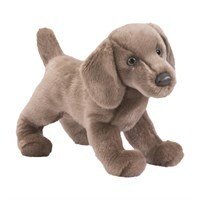 Click over now to see the big selection of Weimaraner gifts we offer. Think outside of the box and create a real sensation with your exceptional Weimaraner House Flag. This tough Flag is a large 28 x 40 inches with an eye catching double sided image tailor made to withstand any storm. A 2 year no fade or rip guarantee comes with this canine champion that you will be proud to display or give as a cool gift this year. Take the style prize in your neighborhood with the Weimaraner House Flag right away.